Share your faith with your papercrafting projects with the Scripture with Foil Accents Cardstock Stickers. 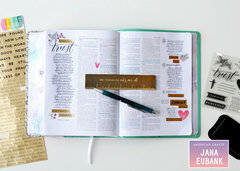 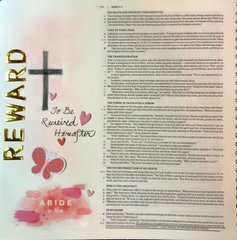 Included in the package are 40 scripture stickers that come on two sheets that measure 6" x 12" each. 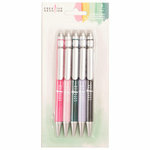 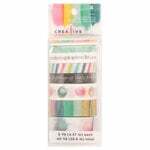 The stickers coordinate with other products in the Creative Devotion Collection by American Crafts. 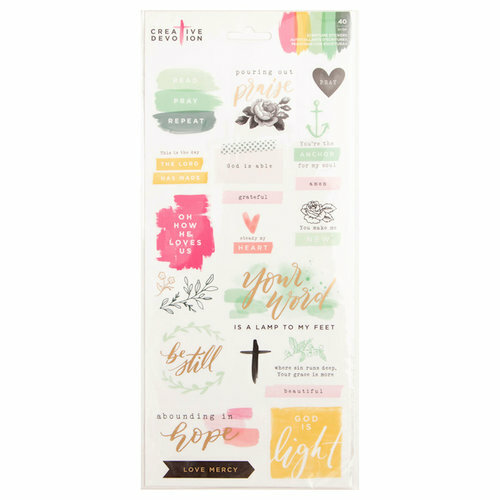 Love these stickers for my bible journaling.